Healthy living is about living wholly, in harmony with nature, our environment and our own core self. It is about integrating our mind, body and soul. Ayurveda, the ancient Indian system of healing and living, is the only one of its kind in the world that addresses the physical, emotional and spiritual aspects of our well being. With a therapeutic approach that gets to the core of our personality, behaviour and lifestyle, Ayurveda is more than a mere system for curing ailments; it in fact charts out a complete lifestyle for disease-free living. CGH Earth Ayurveda offers Ayurvedic treatments at both its Kerala-based healthcare facilities – Kalari Kovilakom and Kalari Rasayana. 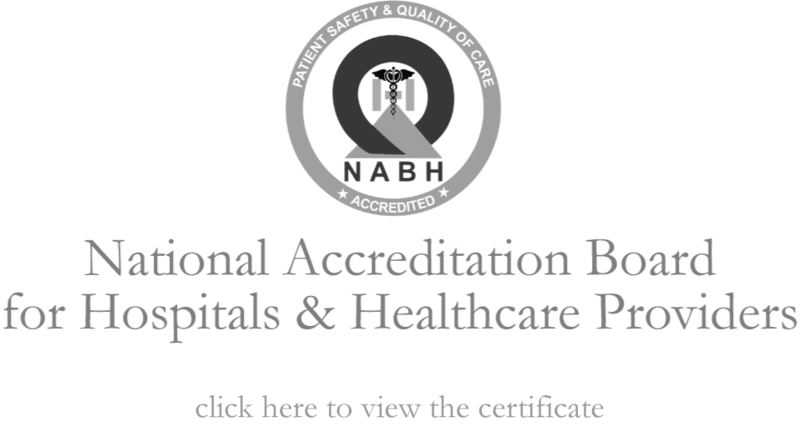 The treatment centers are certified and accredited by the NABH (National Accreditation Board for Hospitals and Healthcare providers), and adhere to the strict tenets of the old school of Ayurveda. Everything about the CGH Earth is closely tuned to the natural environment and giving back to the eco system around. Whether in the conservation practices followed in the everyday lifestyle, in the preservation of local biodiversity, the use of organically grown ingredients in food preparation or in the architecture of the structure, there is a seamless blending with the immediate environment. With Ayurveda itself being rooted in Nature, this underlying culture of green harmony converts into an extension of the whole healing process. CGH Earth is a big believer in the power of harnessing the expertise of the local communities who have lived harmoniously with Nature for many centuries. They are made part of the whole work ecosystem and their way of life is woven into the experience offered. CGH Earth believes in a participative ethos that draws both inspiration and wisdom from the surrounding cultures. These values translate into tangible and intangible value additions that are part of the whole CGH Earth experience, including the Ayurvedic therapeutic experiences offered by the group. How do you define something that’s all-pervasive, holistic, and addresses the most fundamental question regarding the individual self at a physical, emotional and spiritual level? This is why defining Ayurveda as just a healing system is tantamount to restricting the scope of what it offers. The crux of Ayurveda is that it prescribes a way of life that goes beyond merely prescribing remedies for ailments. Instead, it distils the essence of our biological, psychological, emotional and spiritual personae and accordingly arrives at a way of life that helps us realize our vitality. This was a path carved out by sage-physicians thousands of years ago which is still being followed. All the three classical Ayurvedic texts namely ‘Sushruta Samhita’ ‘Charaka Samhita’ and ‘Ashtangahridaya Samhita’ by the ‘Ayurvedic Trinity Sushruta, Charaka and Vagbhata respectively lay great emphasis on the code of ethics to be followed by practitioners of Ayurveda including physicians, surgeons, scholars, students, nurses and patients. There is no deviation from these underlying ethics in any authentic practice of the Ayurvedic system of healing. This also necessitates a strict adherence to the physician’s instructions without any compromise on the part of a patient in order to ensure full benefit of the healing process. Besides, with spirituality and a holistic view of life being integral to the healing process, universal values are a part and parcel of Ayurveda and this offers a new and rejuvenated approach to life that is tuned to the natural order of things. Ayurveda dates back more than 2000 years originating in the Vedas, the ancient Hindu texts that contain practical information related to almost all aspects of life and is that branch of the Vedas which delves into the essence of right living and healing. Literally meaning the ‘knowledge or Science (‘veda’) of life’ (‘ayur), Ayurveda is an amalgamation of different knowledge systems that combine to offer a right and healthy way of life that is disease free. Some of the underlying principles of Ayurveda were laid down in the oldest known Ayurvedic texts namely ‘Sushruta Samhita’ by Sushruta, ‘Charaka Samhita’ by Charaka and ‘Ashtangahridaya Samhita’ by Vagbhata. These are considered the foundation texts of Ayurveda and what they reveal is an amazing insight into the human body based on pure observation and deep reflections without the aid of any of the tools that are available today. The findings and suggested techniques also reveal penetrating foresight for they seem precursors to many modern medicinal principles in the area of surgery and human anatomy. Nature is the core of the Ayurvedic healing process. This means little or no dependence on chemicals and their toxic effects. Everything that Ayurveda prescribes is based on a scientific study of Nature: the herbs and their healing properties, the natural seasons and cycles and our own bio-rhythms tuned to them. The foods and medicines that Ayurveda prescribes are rooted in a knowledge base gathered from studying thousands and thousands of plants, medicinal herbs and our body’s response to them based on mutual chemistry. 1. Are we eating right? Food is one of the most essential aspects of our living, vital to our physical and mental sustenance. And yet persuaded by a commercial environment and driven by the urgency of our lifestyle and also our lack of understanding, we very rarely pay close attention to what we feed into our body. Ayurveda categorizes and prescribes food based on the principle of five natural elements and the three Doshas or body constitution which are linked to the elements as also the ‘Gunas’ or natural forces which govern body and mind. A specific diet for a person is prescribed given his own body type. Ayurveda also strongly recommends the consumption of fresh and organic food. More importantly, Ayurveda encourages mindful or meditative eating by which the full essence of food can be assimilated by the body in an aware, fully engaged and respectful manner. The crux of right eating and healing is in knowing what suits our body because every individual is unique physically and mentally depending on the body type he or she may have. This in turn depends on the bio-energies in our body called Doshas (Pitha, kapha and Vata) which in combination with the five elements in nature determine the mental, physical and emotional and constitution of each person. Thus what Ayurveda prescribes as a lifestyle solution and as a cure for specific ailments is based on a close understanding of the body as against a one-size-fits-all approach. The body is a wonderful mechanism that has its own self-healing processes at work to repair itself. It is when despite its own recovery processes, there is a malfunction that it starts sending us signals to sit up and take notice. And yet, even after this, we fail to listen to what our body is communicating to us. We also increasingly distance ourselves from our body’s inherent needs due to reasons based on lifestyle and social considerations. This results in suppressing of bodily urges that lead to accumulation of toxins and their manifestation in the form of diseases. We then rush to seek medical intervention. Ayurveda encourages us to be more mindful of our body and its messages so that living minus diseases is a natural process. 4. Are we aware of our breathing pattern? Breathing is the most important action of our body that determines all aspects of our health. Which nostril is operating at a given point of time? What is right breathing? How does breathing impact our daily activities? These are questions we seldom ask ourselves. And yet they are the crucial indicators of our health awareness. Ayurveda goes into an in-depth understanding and explanation of the right breathing techniques for our daily activities which is finely tuned to the overall environment and also to our bio-energies. 5. Are we nurturing our mind? The mind and the body have a symbiotic relationship. What affects the mind affects the body and what affects the body affects the mind. But while modern medicine seeks to offer ready solutions to many physical ailments, when it comes to the mind, a holistic approach is still a challenge. A majority of mental conditions such as Depression depend on chemically induced solutions such as anti depressants. Ayurveda on the other hand approaches the mind as part of the overall integrated system of human life and therefore offers a natural way that is radical and lifestyle inclusive. Age old practices such as Yoga and meditation, which help us heal internally, combined with the right foods and breathing patterns that are suited to our body, ensure a healthy mind in a healthy body. 6. How do we sleep? Most of us are aware that the right amount of sleep repairs the body tissues and yet we very often fail to grasp the implication of how much to sleep, when to sleep, how to sleep, what food to eat before sleeping and the related activities such as waking up. Ayurveda helps us look closely at these aspects of sleep in a scientific manner that is again connected to our overall health and suited to our own constitution. We are all part of a Universal Life Force that permeates every living entity on Earth. This is the underlying conviction behind the Ayurvedic approach. But where it goes beyond being an esoteric concept is in the way it integrates this tenet into its therapeutic and healing methods. 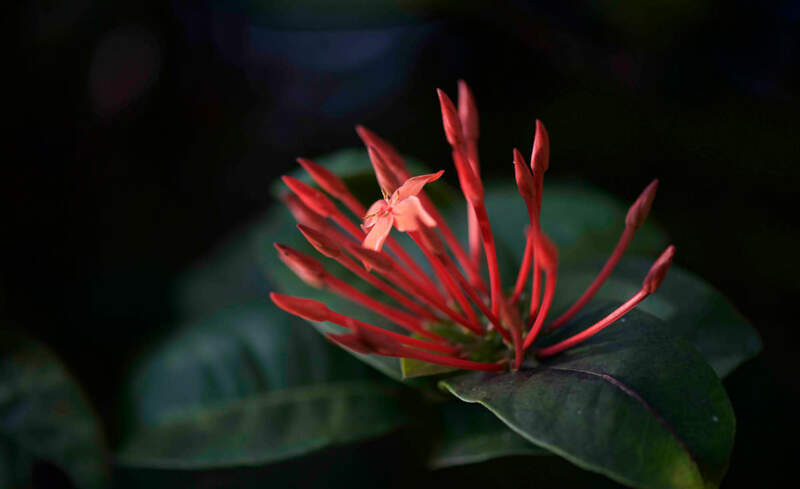 With Nature being the most visible expression of this Universal Life Force, Ayurveda helps us become aware of our connect to Nature, its elements and cycles which are reflected in our own bodies. By guiding us to acknowledge the existence of these Natural elements in us, Ayurveda helps us tap into the right energies for living well. Vata: This is composed of air and governs all bodily movements. Pitta: Pitta is composed of fire and water and governs heat, metabolism, digestion and other transformation processes of the mind and body. Kapha: Kapha is a watery humour that binds the elements in the body. A large part of our illnesses may be attributed to lack of adequate attention to our body signals caused by an imbalance in the Doshas resulting in accumulation of toxins and blocking of energy points in the body. The curative process in Ayurveda therefore includes removing these blockages and toxins by making us listen to our body signals and accordingly taking corrective steps based on our Dosha. So Ayurveda can be classified into Curative and Eliminative procedures according to the body condition caused by the imbalance in the Doshas:. 1. Curative or Samana : This is to cure acute diseases and illnesses and includes all or any of these seven methods: Panchana (using digestives or medicinal herbs), Deepana (generating heat by increasing digestive fire) , Kshut (fasting), Thrit (regulating fluid Intake), Vyayama (exercises), Athapa (sun bathing) and Marutha (breathing exercises). 2. Eliminative or Shodhana : This involves a remedial system to cure chronic diseases and long-term ailments through cleansing the body. An important part of this is the Panchakarma, an elimination process. Panchakarma, which literally means five actions, is essentially about purification of the body by eliminating away accumulated toxins and undigested metabolic wastes that clog bod channels leading to diseases. By eliminating these wastes, Panchakarma not only cures specific conditions, but also offers a preventive way of protecting the body from diseases. The five actions of Panchakarma are Vamana (induced vomiting), Virechana (purgation), Kashaya Vasti and Sneha Vasti (two kinds of medicated enemas), Nasya (nasal medication) and Rakta moksha (blood letting).